The only veritable thing we could say about Ukrainian situation is the fact there is a cruel war where many economical interests are merging into a gory mixture which worms into people's life in order to exacerbate contrasts, as what is happening in Ukraine has become the testbed of mass-media manipulation by both struggling parties in defiance of people's wealth, but this is not the right place to discuss about such an awkward situation and I could guess it's not the aim by Kiev-based brilliant sound-artist, electronic performer and graphic designer Zavoloka, who manages to trascend the limit of political analysts by intercepting some sonic details of Euromaidan and putting them in the guise of field recordings which evoke the ferocious struggling of those days: the three tracks of this inspired release could be considered as one of the most original translation of the sounds and presumably the mood from Ukrainian streets during the most turbulent moments for Ukrainian people, which reaches its acme on the longest final track "Slavlennya", whose final quieter moments following the clashing sonorities and the scary martial echoes sound like resounding the dream of freedom ("Volya" is the Ukrainian word for "freedom") that fluttered over the most quixotic believers. It's difficult to sum what N.O.I.A. were and are into a review, because, as a cat, they lived different lives. First of all, N.O.I.A. formed in late 70s in Cervia, Italy and, influenced by Kraftwerk, started to play electronic obsessive tracks with catchy melodies and synth sounds. They also won the first Italian rock festival in 1980 and thanks to that, EMI included two of their tracks "Europe" and "Hunger In The East', into a compilation. Their first life ended here and in 1983 a new one started. A new one which has been deeply linked to Oderso Rubini's label Italian Records. With Italian Records, N.O.I.A. lost two band members and became a three member band that principally worked in the studio. With Italian Records they recorded five singles and a MLP and reached a good success in the Italo Dance scene. After that, they recorded two singles for Rose Rosse Records and CBS and then disbanded. The band members started new projects: Davide Piatto formed a rock band called Rebels Without A Cause and recorded three albums, Bruno Magnani formed Sacred Circle. Their third life started at the end of 90s, when Davide Piatto, his brother Alessandro and Bruno Magnani decided to re-record their early tracks and the now deceased label Ersatz was ready to release them on a really good record titled "Unreleased Classics 78-82". Now, after a compilation released by Spittle in 2012, it's again time to talk about N.O.I.A., because they are back on their own label N.O.I.A. Records with a 12". 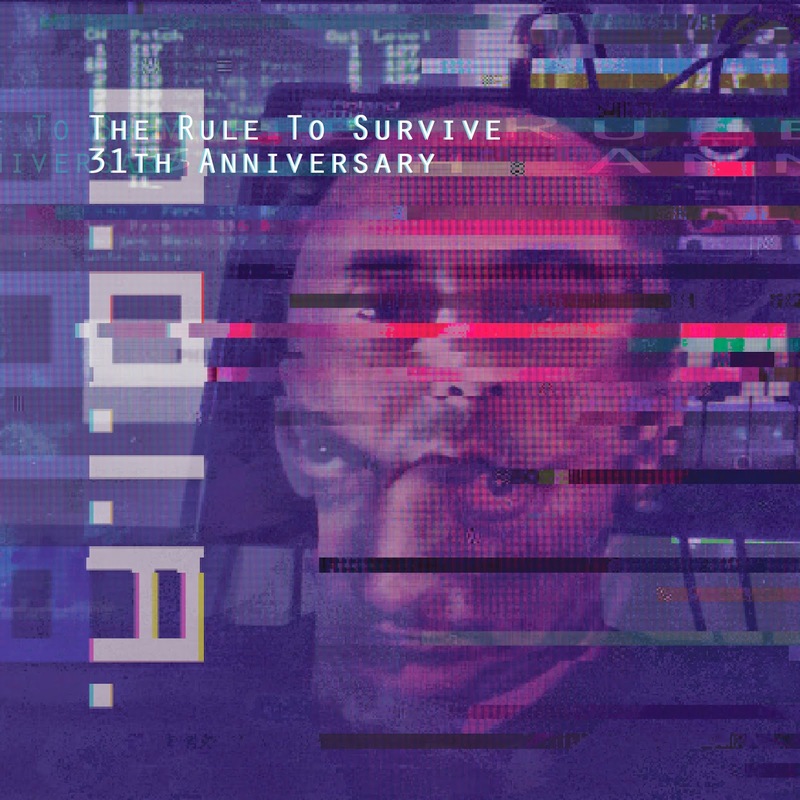 "The Rule To Survive - 31th Anniversary" contains three versions of the track which originally was released in 1983 but, as the band did in the late 90s, it has been re-recorded with the original gear. The track is still sounding fresh, catchy and powerful as the classic sounds by TR-808, Roland SH1 (which now is living a new life thanks to the new version you can install on the new Roland Aira keyboard) and Prophet 5 have been used by many nowadays bands who discovered their beauty and the warmth. On the 12" we can find also the instrumental version and a remix made by Prins Thomas. He kept most of the original mix but doubled the bass line which now is more bouncy and dance-floor oriented. On the digital version of the single, we can find much more as we have other two remixes for the main track (Kirk Degiorgio did a Detroit techno version and Baldelli And Dionigi, famous for their work at La Baia Degli Angeli club, did a great mid tempo spacey dub mix) and an unreleased song titled "Time Is Over Me". The track opens with a particular accordion sound just to turn into a melancholic mid tempo that sounds like a mix of new wave, late italo disco and pop. As for the first song, we have the instrumental version and two remixes. This time we have Gaudi & The Orb that reworked the track making it sound like a 90s techno house tune and a dub version did by the band. Great single and welcome back N.O.I.A.! Even if the excellent Ukrainian label Kvitnu situates Asolaar, the brainchild by Argentinean producer Dario Pinto Calvis, in between the artists which fly on the "heavy wing" of its oustanding sonic squadron, it seems that he has slightly softened his sound and such a mitigation is clear since the opening electric peristalsis. His sonorities on "Interceptor" keeps on propagating vitriolic frequencies and abrasive distorsions, but Asolaar shows much more familiarity with his dangerous electric devices than other previous more abstractly chaotic stuff: he rarely move away from circuit-driven rhythmical loops, which soak tracks like "Gravastar", but he frequently deviates from excessive repetitiveness by means of amazing electromechanical saturations such as on "Cruce Magnetico II", "Cruce Magnetico II", "Emptiness Dealers", whose combactive stepping could let you think about the possible death rattle of a stricken drone, or the fragmented high-voltage break of "Random Violence", where his style get closer to old stuff from Celluloid Mata, P.A.L. or Synapscape, or by clipped chemical burns ("0028-13", "Lord H.Mohawk" or the nice "Lu In Dimension"). It's really remarkable the ability to draw so many noisy tidbits together in just 24 minutes, which could be sometimes much more lieable than excessive prolongation of less surprising brainwaves. Finnish label Aural Hypnox disinters one of the most interesting spellbinding in the field of dark titual music, the first release together with "Mirrorion" from the underground cult act Arktau Eos by Antti Haapapuro and Antti Litmanen, who came back to the source after a couple of albums on Svart Records. All those listeners who have experienced some transmissions by these nordic entities should expect more similarities with many moments of "Ai Ma Ra", the double CD album which preceded their temporary migration to Svart, even if both the length of "Scorpion Milk", which lasts almost 50 minutes, and the skeletal structure of its sound, which could be woefully labelled as minimalist by some reviewers, massively emphasizes the esoteric entrancing exploration they fed by means of slow dull thuds and the sinister ultra-low echo, chirping bells and obscure litany which sounds like the rendering of a pending metamorphosis by an alternation of ghostly wheezes and murmured liturgies. Even if this release from Helixes Collective is the thing that gets closer than other releases to what many people tend to label as dark-ambient, it's really difficult to find other acts whose sound is likewise compelling and intrinsically arcane. This delicate record by Islands of Light, the brainchilf of Vienna-based versatile artist as well as founder of Beatismurder Records and co-founder of Total Light Records Dino Spiluttini, who recently made a lovely collaborative release with Nils Quak on Umor Rex as well, could belong to those record I could suggest to all those people who often ask me something to listen which could be linked to autumn as "Ruebke" constantly evokes both the colours and even the scents of this lovely season. Its enchanting piano melodies, which embrace pedagogical piano playing whose halo mirrors both French impressionists and Satie ("Goerde"), Nova Nova-like soothing compositions ("Schlump"), clouded and somewhat saddening breaks ("Bodil", "Boris"), breathtaking tubular tonal delights ("Honung", "Heisternest", "Heimfeld") and more lively moments, got wisely antiqued by reel-to-reel recording which emphasizes its melancholic nuance by means of the noticeable hiss and the occasional flaws of old tapes as if "Ruebke", whose name is the one of a very little village nearby Hamburg, whose peripheral areas are often quoted by its title, were the sonic resolution which cme as an appendix to an old handwritten diary about moments of truth and emotional lucidity, whose gushing got eased by charmingly rustic isolation.